If you're the parent or teacher of a child on the autism spectrum, you may be interested in finding a reading program for autism. Specialized programs can help autistic kids learn to read, and they may also offer a fun way for you to connect with your student or child. Does your child pay special attention to pictures and other visual cues? Does your child learn by doing things with his or her hands? Does your child enjoy stories, poems, or songs? Answering these questions will help you figure out if your child is a visual learner, a kinesthetic learner, or an auditory learner. The vast majority of children on the spectrum are visual learners, but since every child is different, it's important to consider the other options. Watch your child as he or she interacts with the world, and try to find patterns. Your child may learn best by using a combination of methods. Once you've determined how your child learns, you can find a program that capitalizes on his or her strengths. The following programs are popular with parents and teachers of autistic children. ProEd Reading Program - This program specializes in helping kids identify the parts of words by sight. Using the phonics system and word recognition training, autistic kids learn skills to help them read and understand new words. Reading Rocks - This program is for kids who find phonics challenging. The system is ideal for visual learners because it uses pictures and magnetic shapes to encourage learning. Special Reads for Special Needs - Although this reading program is designed for children with Down syndrome, it also gets great reviews for teaching kids on the spectrum. See the Sound - This program for beginning readers on the spectrum can offer visual cues about the sounds of letters. Visual Phonics - This program incorporates several different learning styles to teach kids how letters work together to form words. Kids use their hands to make signs that they can associate with each letter, which offers a perfect solution for kinesthetic learners. Easy-for-Me Reading - This reading program is fun and educational for non-traditional learners, especially children who learn through tactile or kinesthetic methods. There are lots of hands-on materials to help reinforce the reading concepts. Sound It Out Land - This musical program helps auditory learners associate songs and notes with reading. There are products for several different skill levels. Frequently, kids on the autism spectrum have an intense interest in something specific. Whether that interest is astronomy, sharks, the human body, or something else, you can use it to help you choose a reading program. Look for a program that will allow you to incorporate books about your child's favorite topic. Even if you don't think you can stand to hear about this special interest any longer, it's actually a great way to motivate your autistic child to learn to read. If your child is excited about learning to read, you may be able to use a reading program for autism to facilitate interaction. 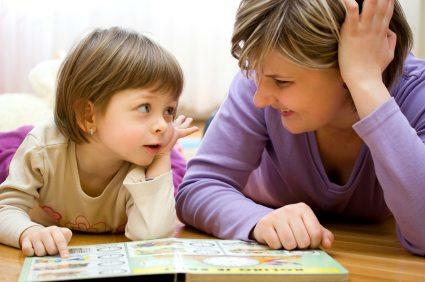 You can use the reading program or a story as a reward for answering a question or meeting your eye gaze. For instance, if your elementary school student is really enjoying a book about trains, pause at the end of each page and make a face. Ask your child what that facial expression means, and after he or she answers, move on to the next page. In this way, you'll be working on nonverbal language and reinforcing the idea that reading is a great reward.